The United Nations human rights watchdog believes the use of force against opposition activists rallying in Tbilisi last Thursday was disproportionate. 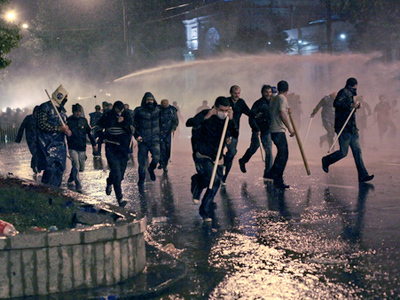 ­Police used tear gas, water cannons and rubber bullets to disperse the rally. 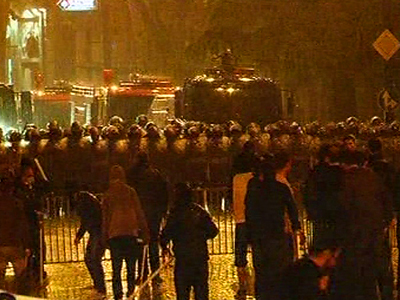 Two people, one policeman and one civilian protester, were killed in the clashes. 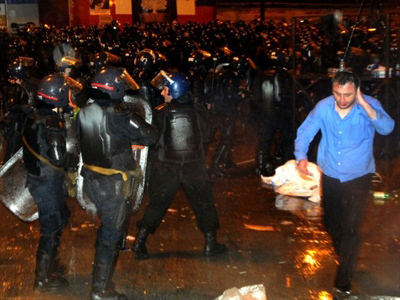 Dozens were wounded and detained, and opposition activists claim the number of casualties exceeded the one officially reported. The UN Office of the High Commissioner for Human Rights (OHCHR) has supported the call by the Georgian Public Defender (the Ombudsman) “for a comprehensive, effective and impartial investigation into the actions of the police,” spokesperson Rupert Colville told reporters in Geneva. The UN human right office called on all sides to refrain from violence and act in line with national laws and international standards on freedom of assembly. 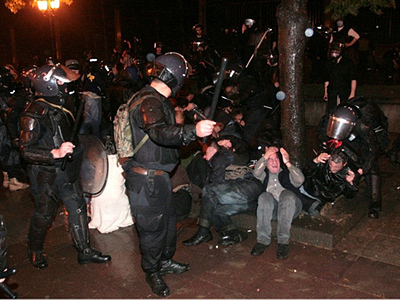 The ombudsman’s list includes 162 people detained in the aftermath of the protests. Many of them have injuries sustained in the dispersal of the rallies. Individuals who have been detained should be afforded their rights, the OHCHR spokesman warned. They must receive adequate medical treatment, be free from torture and ill-treatment, and have access to legal assistance. 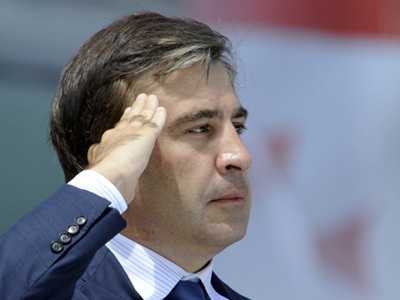 Meanwhile, Nino Burdzhanadze, the leader of the Georgian opposition party Democratic Movement and a former parliamentary speaker, is planning to sue President Mikhail Saakashvili over the government’s actions. The Georgian leaders claim to have known about preparations for a coup, but did not detain its organizers in time, she said. “This is either negligence or high treason,” Interfax quoted her as saying. The Georgian media recently published video and audio records of conversations allegedly involving opposition leaders “preparing to offer resistance to police.” Burdzhanadze asked why the organizers of the alleged coup were not detained a month ago. She also wants to go to the European Court of Human Rights to sue the Georgian TV channels Rustavi 2 and Imedi “that disseminate propaganda,” the politician said.